With blue polo shirts tucked neatly into khaki pants, the two women shuffle their hands in nervous excitement, eager to greet their next guests. For days now, this is the moment they’ve been prepping for. The linens have been washed and lovingly arranged on the beds. Fresh baked muffins sit on the kitchen countertop. Welcome to the SeeMore Inn, where guests are made to feel as if they are the most important people in the world. And they are — at least within the walls of this bed and breakfast, especially in the eyes of those who work here. 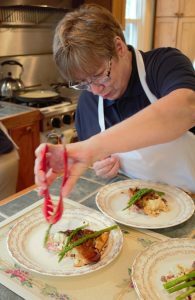 The SeeMore Inn is a groundbreaking experiment in hospitality, a place where individuals with intellectual and developmental disabilities can learn, work and thrive. The bed and breakfast is the first of its kind in Illinois. 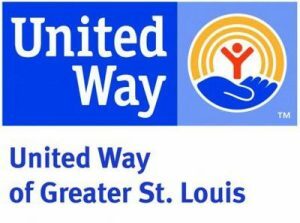 And Human Support Services, which owns and operates the property, sees it as filling an essential role in its drive toward a more person-centered model of service. What is a person-centered approach? Well, look no further than the inn to better understand. The person-centered approach looks at the individual and identifies their unique talents and strengths, then connects them to roles in the community where they can reach their fullest potential. It’s about allowing that person to find their place in society, not “helping” them within the bounds of an organization or system. Here at the inn, everyone pitches in and everyone benefits. 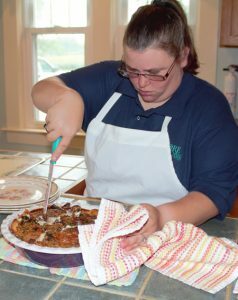 There’s Rachel, whose careful work in preparing eggs for breakfast is more than just a job. It’s a step toward a bigger dream of one day becoming a chef. And there’s Linda, who beams when the guests say they enjoy the meals she serves them. 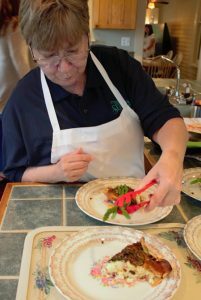 Clients work a variety of jobs, helping with everything from landscaping and housekeeping to cooking and serving guests, all under the guidance of supervision from HSS staff and a full-time innkeeper. Those who work at the inn see it as a true privilege. Those who stay at the inn see it as a true treat. 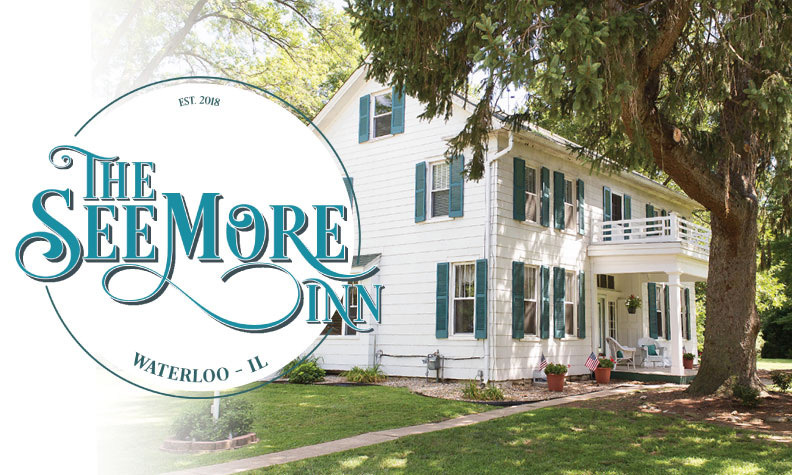 The SeeMore Inn, which officially opened to guests on July 1, operated for many years as the Waterloo Inn bed and breakfast. When the five-bedroom home hit the real estate market last year, HSS immediately saw the opportunity to do something innovative. There was risk involved — as is the case with any real estate deal — but it was hard to pass up what would be a one-of-a-kind experience for clients and guests. The nonprofit closed on the property in February. Since then, HSS staff and clients have been busy putting their own touch on the home. Projects have included picking new furniture and decor, and interviewing applicants for the innkeeper’s position. The efforts shine through, from the moment you arrive at the bed and breakfast. The home, which was built in 1875, has a Colonial Farmhouse feel, with its white clapboard exterior and teal shutters. Pastel paint and floral wallpaper grace the interior, while custom millwork around the hearth and antique light fixtures complete the look. One can sip tea from vintage china on the porch or in the sunroom. Or a guest can enjoy one of the inn’s breakfast specials in the kitchen where the sunlight plays peekaboo with lace curtains on the windows. Everything here is quaint and personalized. And it starts with that special SeeMore welcome, from staff who are more than eager to get to know you. With every piece of furniture lovingly polished, and every scone carefully prepared and served, the SeeMore Inn proves that the road to a better life connects all of us. And it wouldn’t be possible without your help. Consider a tax deductible gift to HSS this holiday season. Your gift to our annual campaign goes directly to programs like those at the SeeMore Inn. And please remember: We can all do more to see the best in each other.